The West Kingdom currently uses PayPal to process our electronic payments. At this time, PayPal is only available for Pre-registration, not at-the-gate sales. If you have questions about the process that are not answered by this website, please email the PayPal Deputy Exchequers. 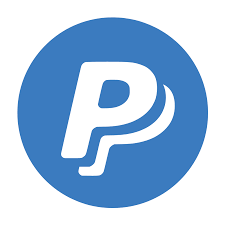 If you are new to PayPal as a business, please check out their website for more information on how they work. The PayPal program is now open to all branches in good standing. Events MUST be submitted 90 days in advance (or sooner!) for full consideration. Go to the SELLING! header farther down this page for sign-up details. IN KINGDOM EVENTS! - click on the event names with live links (green) to submit your google form. Your invoice will be emailed to you. Detailed instructions are available under the BUYING heading farther down this page. REFUNDS MUST BE REQUESTED BEFORE THE EVENT OPENS AND WILL BE PROCESSED AFTER THE EVENT IS OVER. PROCESSING FEES WILL BE DEDUCTED, NO TRANSFERS. OUT OF KINGDOM EVENTS - follow the links to the event's registration system. Find your event in the list above. Pay your paypal invoice. Invoice left unpaid for 7 days during pre-registration or three days after pre-registration closes are subject to cancellation. Retain a copy of your proof of payment. Events are furnished with a courtesy copy of our records, but in the event of a discrepancy, you are responsible for proving you paid. Sign in at Gate at your event and Enjoy! If for some reason you can not attend, please address refunds and transfers (if allowed) with the sponsoring branch. The Refund policy will be on each invoice you recieve from us. Refunds, when permitted, must be requested of the sponsoring branch, no later than 5 pm the day before the event starts. Refunds will be processed after the event and will be minus any electronic fees. Review the current West Kingdom PayPal Policies available here. Check with your exchequer to make sure your branch is in good financial standing with Kingdom. No less than 90 days before your event starts, fill-in the Event PayPal Authorization Request Form. The PayPal Deputies will build your event from this information. Review the event specific pre-registration form sent to you and the other officers by the PayPal Deputies. Ask for changes or indicate approval. Once approved, the PayPal Deputies will place a link to your form on this website. You are welcome to link to your form or this webpage in any of your event promotion. Through out the time preregistration is open, the deputies will create invoices, track payment, and cancel invoices as applicable. If you have a WK GSuite account, you may have viewing access to the form responses so that you can track the progress of your event. You may not have access to the West Kingdom PayPal Account..
After your event pre-registration closes and PayPal finalizes all your invoices (takes 7-10 days), you will be sent a list of registered names and a list of cancelled invoices (if any). The PayPal Deputies will release your funds minus any fees. The Kingdom Exchequer will make out a check to the branch and mail it the exchequer at the address on file.